Since I promised to talk about the Value Resorts today, I thought I’d start with what we’ve been talking about at Dad’s house. This week we (Dad and Mrs. Mom) have been discussing our hotel choices for our upcoming trip. Mrs. Mom is getting excited. She is checking out every hotel, every restaurant and trying to figure out where she wants to stay, where she wants to eat and what she wants to do during our trip. During this process, we’ve decided that Mrs. Mom is a Pop Century Snob. Yes, that Pop Century. 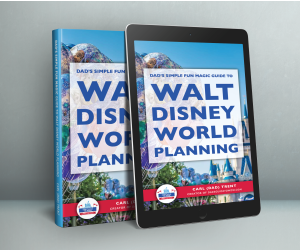 We think the Pop Century, to use a common younger person term, is sick. It rocks. We are addicted. For two straight trips, we stayed at the Pop Century Resort. We love it. Yes, the rooms are kinda small and yes, there aren’t any fancy restaurants, and yes, you don’t get any special service. You don’t get weekday newspaper … oops, I guess they discontinued that. You don’t get to ride in a boat. It’s just the basics. Really fits Mrs. Mom. She likes things pretty basic. By the way, that fits me too. The big reason that Mrs. Mom is such a Pop Century Snob is because, of all things, because of the food court. Yes, the food court. Mrs. Mom loves eating breakfast at Everything Pop. (So does Dad.) Mrs. Mom was rating hotels by where there was to eat breakfast and every hotel came up short. She couldn’t find her favorites at any of the “cheap” restaurants. Yep, Mrs. Mom is a Pop Century Snob. No before you go writing me and telling me I can’t talk about my wife that way, I got this idea from her. She’s given me permission, no, she’s encouraged me to write about her snobbishness. This trip, we are going to venture out and try something new. We’ll get out of Mrs. Mom’s (and Dad’s too) comfort zone. I can already hear Mrs. 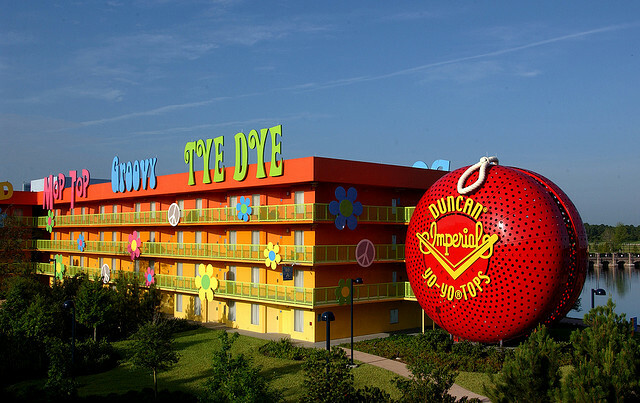 Mom pining (I can’t say that other word that rhymes with pining) for our second favorite Disney Hotel, the Pop Century, but just for you we are going to try something different (the fact that one of the rooms on the trip is part of the convention has nothing to do with it). It’ll be OK, dear. We’ll find you a good omelet somewhere. It’s not that I am really a snob–it’s just that I know what I am getting for breakfast (and as we know due to a medical condition, I have to eat BREAKFAST and not just sweet rolls). It is just like the Golden Arches–you know what you are getting; how it is going to taste; it is filling; it can be fast; and it is a GOOD value. In my opinion, on our 2009 trip, I got an almost identical breakfast at Kona Cafe for $3-$4 more and it took a good 2 hours out of our park time. Another reason to be a Pop Century snob is that it doesn’t share buses like the All Star resorts do. To me, that’s another really good reason to stay at Pop. What rooms or areas in the Pop Century would you recommend and why. The best rooms at the Pop Century are the pool view preferred rooms. They are the closest to Everything Pop and have a great view. We’ve also enjoyed the rooms in the 50’s (bowling pin) building. If you are driving they are some of the most convenient when it comes to parking.